Package Mt Bromo and Most Fantastic Waterfall is a combined tour between the most beautiful mountains and a fantastic waterfall. This package will answer all your curiosity that has an adventurous spirit. We will take you to the most amazing places that you will not get anywhere else. Like mount bromo with the beauty of sunrise, Ijen crater with blue flame and Tumpak Sewu waterfall with most amazing view waterfalls like niagara in USA. Mount Bromo has a famous natural beauty to the corners of the world with the beauty of the rising sun and the view of several active volcanoes in the area. We can see directly the hole of the crater of Mount Bromo is still active and is an experience that will not be forgotten. 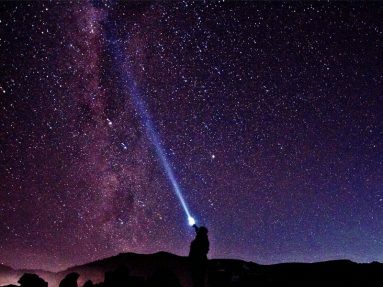 The beauty of bromo mountain will make tourists forget for the time to enjoy natural beauty in this place. The mountain has its own uniqueness is it emits gas a looks like a blue fire. the uniqueness can only be enjoy at night until the morning and the best time to watch the Blue Flame is in morning (00.00 – 04.30). 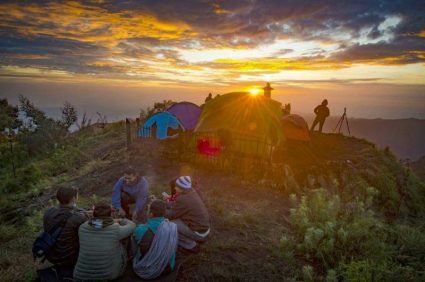 You can also enjoy the beautiful of sunrise from the top of ijen crater. Will be looks the beauty of green lake in the middle of crater. Watched process the mining of sulfur by locals around the crater of ijen. The most amazing waterfalls in Surabaya East Java is Tumpak Sewu Waterfall becaue not such as in general waterfall. There are many waterfalls in one place that make up the basin so that when viewed from above like a well. Around Tumpak Sewu waterfall have Nirvana Waterfall, Telaga Biru Waterfall and the most amazing is a Goa Tetes. So we are exploring in this place during that time because there are some waterfalls that we will visit in one place.